Social media has become a way of life for literally billions of people. The continuous sharing of information is widely accepted as a daily networking activity. According to Statista, 71% of internet users are social network users and by next year, it is estimated that there will be around 2.77 billion social media users around the globe? That equates to a LOT of social media data gathered! However, many businesses jump into the social media craze too fast without a solid strategy. A good social media strategy encompasses clear business goals, identifies the target audience via an avatar and analyses competitors. 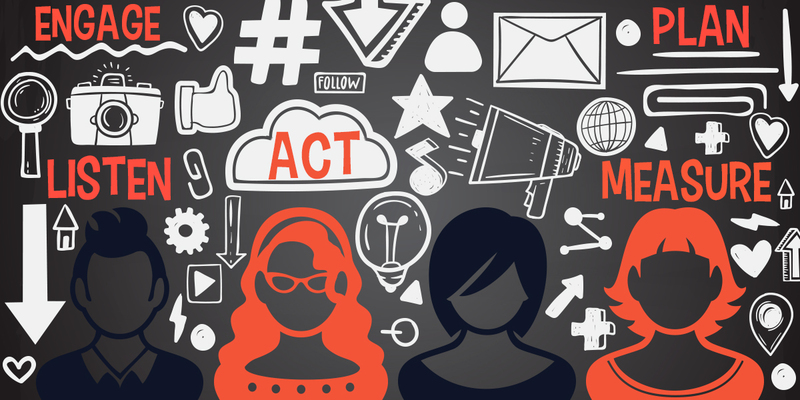 From brand awareness to conversion, to boost your bottom line, it’s time to get social. In this post, I will illustrate the steps needed for building a solid Social Media Strategy. Multi-unit brands such as franchise groups, dealer networks and national brands with a local presence. A social media strategy is an outline of all the tactics a business will deploy to achieve a set of goals on social media. Increase understanding of customers, sectors, path to purchase and segments – attribution modelling. Listen, engage and respond where appropriate. With so much information available to us, social media can be overwhelming and deciding what to post, when to post it and who to target can get confusing. The good news is, there are a few steps that will make the process of building a social media strategy easier and more concise. What are you hoping to achieve as as result of these efforts? Are you trying to increase brand awareness, website traffic and maximise SEO efficiency? All these are good goals and whilst it is advisable to have a few, try not to go overboard as too many goals are not realistic. By really clarifying and differentiating the social media goals, businesses can then focus on providing the information that is necessary to reach the target audience in the most efficient ways. Defining these goals also helps businesses utilise the right types of social media content and posts that will engage exactly the audience it’s intended to. Having clear goals also leads to the ability to obtain the key metrics necessary to determine the success or failure of a social media campaign. Suddenly your target audience becomes a specific person – a real estate agent that lives in Melbourne, is between 30 and 50 years of age, earns more than $80,000, mostly uses Facebook and has an interest in football. Having a clearly defined target customer allows businesses to earmark the best social media channels. Furthermore, it leads to producing content and posts that connect with the target audience on a much more personable level. This is a vital step in the social media strategy creation process because if a business fails to set up measurable metrics, then it cannot improve them. Here, businesses need to work out whether the social media marketing efforts were a success or a flop. It’s not all about simply gaining more followers and website visits, but about making sales. By identifying the key metrics, businesses can start tracking the previously defined social media goals. For example, let’s say a business goal is to increase Facebook page engagement rate. To accomplish this goal, the plan would include creating and posting relevant, trending and engaging content, at peak time once a day with a killer call to action. If the current engagement rate is 0.7%, then set a new metric that is high, but achievable, like 1.2%. The last step in building a social media strategy is the most important one because by tracking your outcomes, analysing the data and then optimising for growth almost guarantees success. Periodically, all the above steps should be reviewed after time has passed and results have been examined. Allow the data to be the driver. If it is pointing to Instagram or Facebook as the best platform, contemplate doubling down. It’s worthwhile to note that a good social media strategy is forever changing. Think of it as a continuous work in progress that requires periodic perfecting. So get started and construct a social media strategy making sure to keep revamping it in alignment with business and market growth. To discuss how a great social media strategy can greatly benefit your business model as well as specific solutions I have developed for Franchise groups and multi-unit organisations, contact me today for a confidential discussion.